Our apples are ripe for the picking on the apple trees. 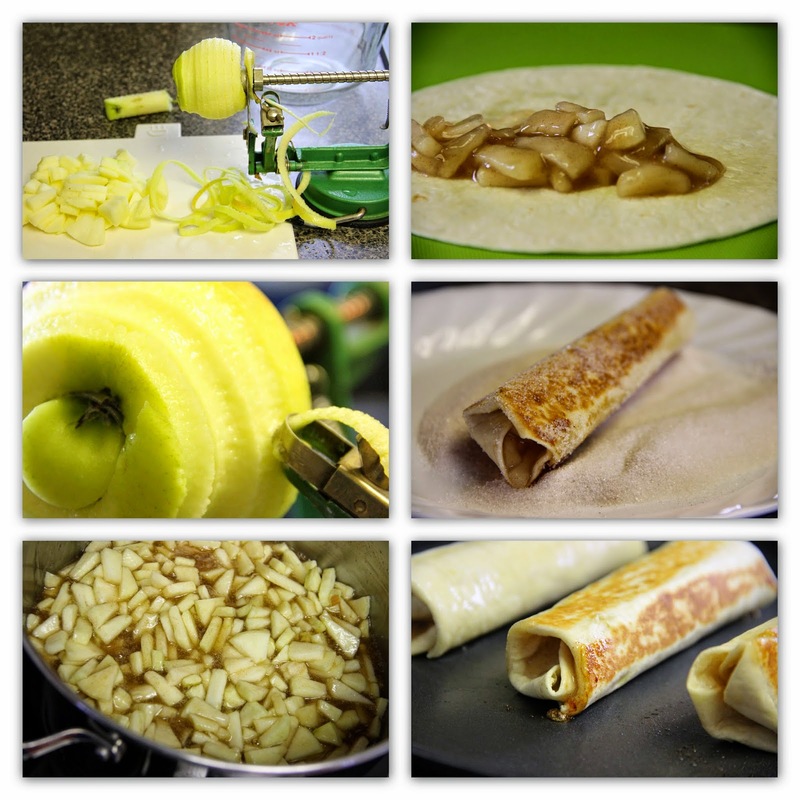 If you are hungry for apple pie but don't know what you would do with a whole pie, try making some apple chimichangas. Make a dozen or make one or two. As long as you have apple pie filling tucked away in your fridge or freezer and small tortilla shells it is a quick dessert. Choose apples that are local to your region so they are as fresh as possible. Place a few tablespoons of cool apple filling near the bottom of each tortilla and roll up burrito style, being sure to tuck in the sides. Brush each chimichanga with melted butter and place on a skillet on low heat, turning them until browned on all sides. Combine sugar and cinnamon and spread on a flat bottomed bowl or plate. Remove from skillet and roll in the combined sugar and cinnamon mixture. Serve warm with a scoop of ice cream if desired. Remove from heat and cool. Filling will thicken more once cooled. Refrigerate in jars or portion and freeze in freezer bags. Oh - those look so good Lovella! It's perfect for this apple harvest time. I really need to look into getting one of those cool apple peelers. These look so good. Could you please send some over? Those would be prefect for me as I live alone. And it's a "2fer".....you generously gave us the apple pie filling recipe too! Thank you so much. Great recipe, it looks very professional. This is great idea, my kids love this! Grate post ! thank you for your share! Your recipe look good to me and i will give it a try by this weekend.